The organization needed to find a way to reach more people and promote the message of poultry and egg farming, health benefits, economic benefits and the overall industry in North Carolina. Traditionally, most of their marketing has been focused on radio. They needed an improved web presence and digital media strategy. 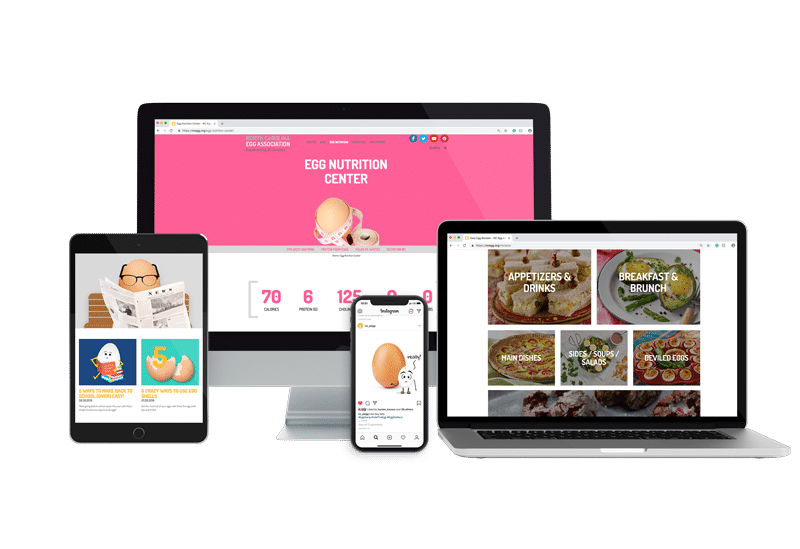 The NC Department of Agriculture and NC Egg Association retained Brasco /// as their agency of record in 2011 and we have maintained a successful relationship through ongoing campaigns today. What began with a redesigned website, projects have span across multiple mediums with both online and offline advertising campaigns. Brasco provides media planning and buying for digital and traditional efforts. We also help shape outreach through creative content marketing, design, and online efforts. Among other initiatives, NC Department of Agriculture supports the poultry farmers through NC Egg Association to promote the egg and poultry industry within the state. The Egg Industry ranks 7th in NC commodity receipts. NC Egg Association is seeking to reach a statewide audience to create awareness about egg farming and egg products in North Carolina. Brasco /// has been the agency of record leading creative advertising, digital marketing, web development, social, and content marketing for over 8 years. Brasco has helped North Carolina’s egg farming industry lead the nation in the promotion and growth of the poultry and egg industry. Egg sales are on the rise. We have received national recognition and awards through the ongoing campaigns. through content creation, SEO, and PPC. through video, Facebook, and Pinterest. Creative and campaign design that have helped the organization better connect with citizens in the state.